Our planet is an amazing place to live… but it needs your help. By National Geographic Kids associate editor Allyson Shaw. Adapted and republished from the April 2018 Save the Earth issue with permission. 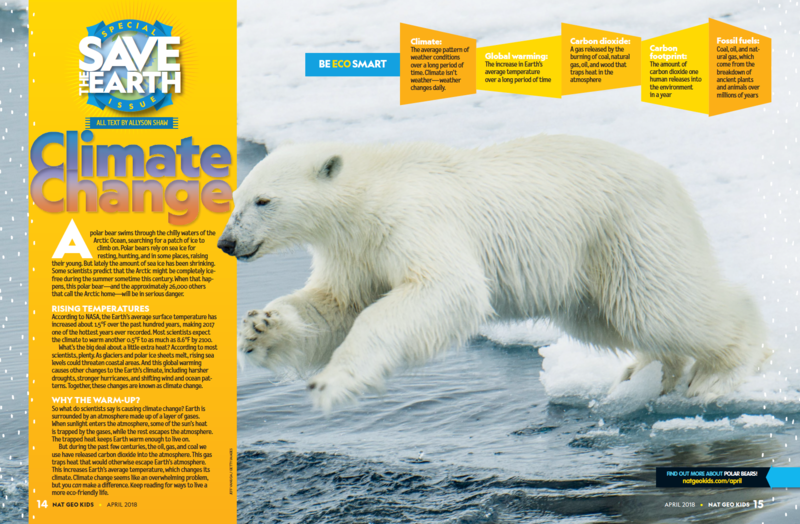 Climate Reality is teaming up with National Geographic Kids to share resources for kids to learn about climate change – and for parents and teachers to teach kids how to take action! This is the first blog in the series, but be sure to check back for more! We know you love watching videos on your phone. But modern activities – such as plugging in devices, driving cars, and cooling homes – rely on energy sources such as natural gas, oil, and coal. Those energy sources release a gas called carbon dioxide (CO2) into the atmosphere. When CO2 and other greenhouse gases trap heat that would otherwise escape Earth’s atmosphere, the planet’s temperature rises. That’s called global warming, which causes climate change. Climate: The average pattern of weather conditions over a long period of time. Climate isn’t weather— weather changes daily. Global warming: The increase in Earth’s average temperature over a long period of time. Carbon dioxide: A gas released by the burning of coal, natural gas, oil, and wood that traps heat in the atmosphere. Carbon footprint: The amount of carbon dioxide one human releases into the environment in a year. Fossil fuels: Coal, oil, and natural gas, which come from the breakdown of ancient plants and animals over millions of years. Click to enlarge. Image courtesy of National Geographic Kids magazine. According to NASA, the Earth’s average surface temperature has increased about 1.8°F over the past hundred years, making 2017 one of the hottest years ever recorded. Most scientists expect the climate to at least warm another 0.5°F to as much as 8.6°F by 2100. What’s the big deal about a little extra heat? According to most scientists, plenty. As glaciers and polar ice sheets melt, rising sea levels could threaten coastal areas. And this global warming causes other changes to the Earth’s climate, including harsher droughts, stronger hurricanes, and shifting wind and ocean patterns. Together, these changes are known as climate change. So what do scientists say is causing climate change? Earth is surrounded by an atmosphere made up of a layer of gases. When sunlight enters the atmosphere, some of the sun’s heat is trapped by the gases, while the rest escapes the atmosphere. The trapped heat keeps Earth warm enough to live on. But during the past few centuries, the oil, gas, and coal we use have released carbon dioxide into the atmosphere. This gas traps heat that would otherwise escape Earth’s atmosphere. This increases Earth’s average temperature, which changes its climate. Climate change seems like an overwhelming problem, but you can make a difference. SO WHAT CAN KIDS DO? There are plenty of ways kids can take action to fight climate change. 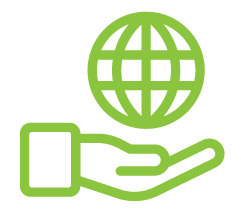 Check out the awesome graphic above to get some ideas on how you can take action to save the Earth! You can also check out National Geographic Kids for videos, games, and more ideas about how to get involved and learn more about our planet. Learn the facts about climate change from an adult perspective, too! Get Climate Reality’s free guide to the basics, and use it to help answer questions from your kid(s) about climate change, global warming, and renewable energy. Talk to your kid(s) about climate change! 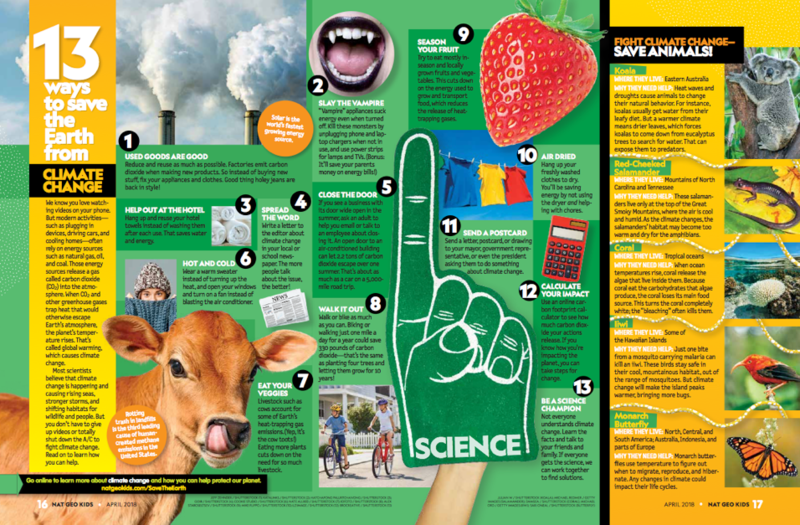 National Geographic Kids has this great free resource to “help you empower your children to understand not only what climate change is all about—but also what they can do to help.” There’s even a page to specifically help teachers, too! You can also join Climate Reality’s email activist list and we’ll send you ways you and your family can get smart and active about climate change, right to your inbox! National Geographic Kids teaches kids about the world and how it works, empowering them to succeed and make it a better place. 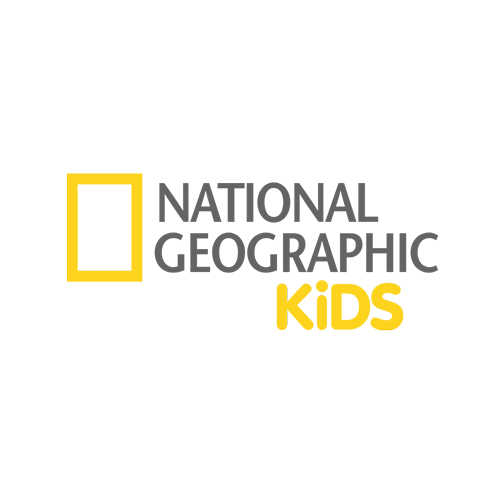 National Geographic Kids inspires young adventurers through award-winning magazines, books, games, videos, events and a Webby Award-winning website, and is the only kids brand with a world-class scientific organization at its core. Learn more at the Nat Geo Kids website and follow Nat Geo Kids on Twitter and Facebook.